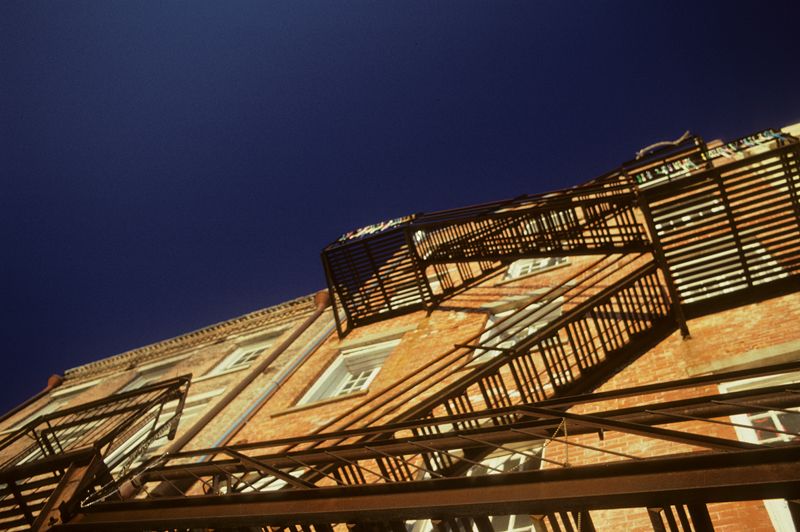 A fire escape zigs and zags its way up the side of an historic building in the French Quarter of New Orleans, Louisiana. Separating Men From Their Dollars Since 1993 was posted on Thursday, August 27th, 2015 at night by Olen Daelhousen, who photographed it using a Fujica AX-5 loaded with Kodak Kodachrome 64. The image is filed under: Buildings.